Slindon House was notably the summer palace of Stephen Langton (c1150–1228), the Archbishop of Canterbury who attended the signing of the Magna Carta in 1215 and who died within the building in 1228. A memorial can be found in nearby St Mary's Church. The current version of Slindon House was constructed later in the time of Queen Elizabeth I by the Kempe family, who were staunch Catholics, and for over 300 years mass was held in a secret chapel, hidden within the house. This area no longer exists today. While living at the house, the Countess of Newburgh appointed herself guardian and benefactress of Slindon Village, listed in the Domesday Book of 1086 as "Eslindone", meaning "sloping hill" in Old English. 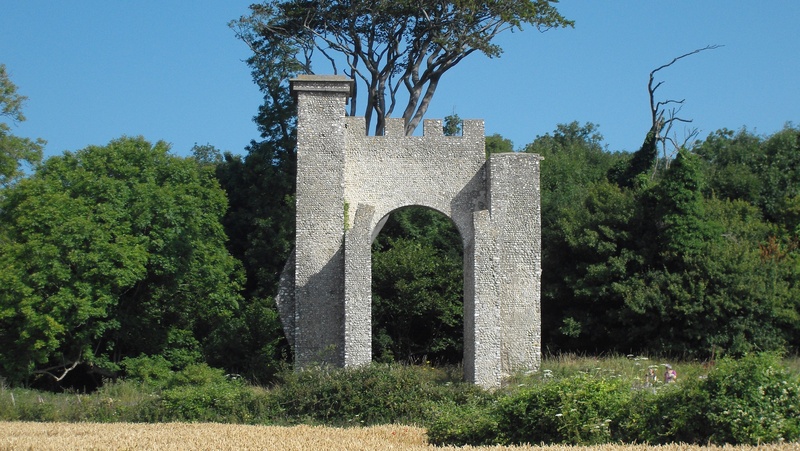 The Countess made one enduring contribution in the form of The Folly, on Nore Hill, built around 1814 to provide work for villagers during the depression following the Napoleonic Wars. The Folly can be seen from the upper floor windows and resembles a gateway but it mysteriously leads nowhere. In 1913, Slindon House and Estate was purchased by Mr F. Wootton-Isaacson who carried out extensive alterations. The house underwent extensive Georgian alterations outside and in, and further changes after the World Wars where the house was used as a hospital, as was common in this time. Several remnants of World War II can be found in the basement today, writing with dates on the walls by former soldiers. When he died in 1948, Wootton-Isaacson bequeathed his Estate to the National Trust. In 2019, Slindon House is home to the current version of 'Slindon College,' an independent day and boarding school for boys aged 8 - 18, set in the historic Slindon House, located in the South Downs National Park, West Sussex, England. 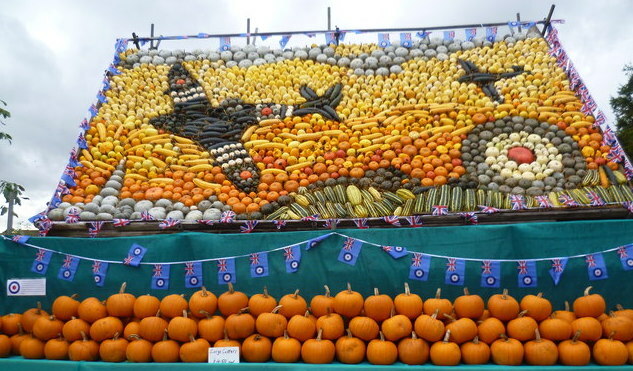 Slindon Village has been called the "Pumpkin capital of Britain", famous for it's annual display of pumpkins which attract tourists to the village. The village war memorial was unveiled in 1921, with the names of 14 residents killed in World War I; a further three names were added after World War II. The writer Hilaire Belloc (1870–1953) lived in Slindon Village. In the mid-18th century, Slindon Cricket Club achieved fame through the excellence of its team which featured Richard Newland (1718–91), whose memorial is in the church.